← A VIEW FROM THE BENCH- Why it’s better to mediate than litigate! As a former Family Court Judge, this I know: that parental litigation makes for unhappy children. Their confused state of mind manifests itself in poor grades and bad decision-making. Your beautiful girl is sitting in front of yet another re-run in her pajamas, unwashed and disheveled. You don’t understand where all her friends are? What happened to that laughing posse she was running with six months ago? They opted out of your child’s unhappiness is what happened. They will no doubt resurface when she returns to her former happy self. Clearly some parents have more insight than others into the dynamics of their children’s lives. As between two parents, one parent may very well have more insight than the other. Occasionally I was awed by two parents who understood the trauma the children suffered as a result of their courtroom battles. More often than not, these same parents walked in with a proposed settlement to put on the record to resolve the conflict and move on with their lives. 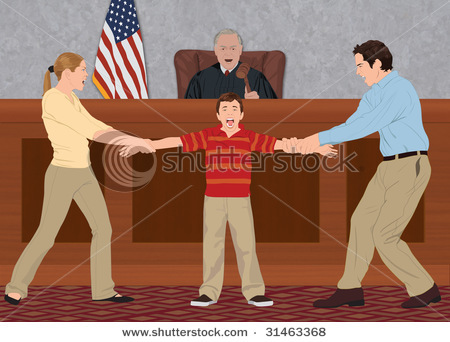 Mediation will resolve parents’ conflicts quickly and without the drama that “court” brings. “I have to go to court” is a charged statement. It evokes drama and tension, and the belief that someone will lose. “We’re going to mediation” doesn’t have that ominous sound. It invites a picture of two parents entering into a discussion, together. It generates hope that the conflict will soon be resolved and everyone can pick up where they left off. It opens the door to that happy place the children can again reside in, laughing and growing, and free from conflict. Gayle Nathan brings twenty-six years of experience including fours years as a Family Court Judge to every case she handles, whether it’s a mediation or arbitration. This entry was posted in Alternative Dispute Resolution, child custody, confidential, Custody, Divorce, effective. Bookmark the permalink.